 Fly 18 is a team of professional disc golfers that specializes in disc golf course design and management for existing golf courses. The rapid growth of our sport has created the need for alternative areas to play disc golf. In fact, as the sport continues to grow, we are faced with some of the same challenges that snowboarders confronted when gaining respect on the mountain. It took years for snowboarding to elevate from its concept to acceptance and now it makes up over 50% of most ski resorts. Disc golf requires no extra maintenance, employees, or up keep and because we understand that the greens are what truly make a golf course, our number one goal is to design the courses to that the disc golfer does not interfere with play on the greens and in turn maintains safe play. To avoid the greens, We design the course so it has the same par as the golf course and the same speed of play as the golfers. The disc golfers actually play slightly faster than golfers.